Based on an award-winning novel by Kazuaki Takano, the thriller stars veteran actor Tsutomu Yamazaki ('Tampopo') as an aging prison guard who is hired to find a killer in order to prove the innocence of a condemned man on death row. He takes on a young ex-con (Takashi Sorimachi) as his assistant in search of the murderer. 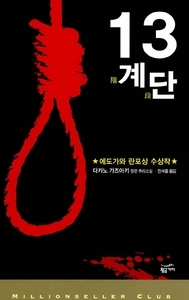 The movie not just delivers good doses of suspense and murder mystery, but also gives sincere portrayal as to life and death (and death penalty) issues.